What better way is there to let your holiday memories live on than to turn those precious holiday snaps into custom wallpaper? That’s right, create your own wallpaper from your photos. As long as your photo is high-resolution, you can upload it onto our website, enter your dimensions, place your order and *HEY PRESTO* you have your very own custom wallpaper. For every metre of wallpaper you’d like us to print, we suggest that your image is 1000 pixels. 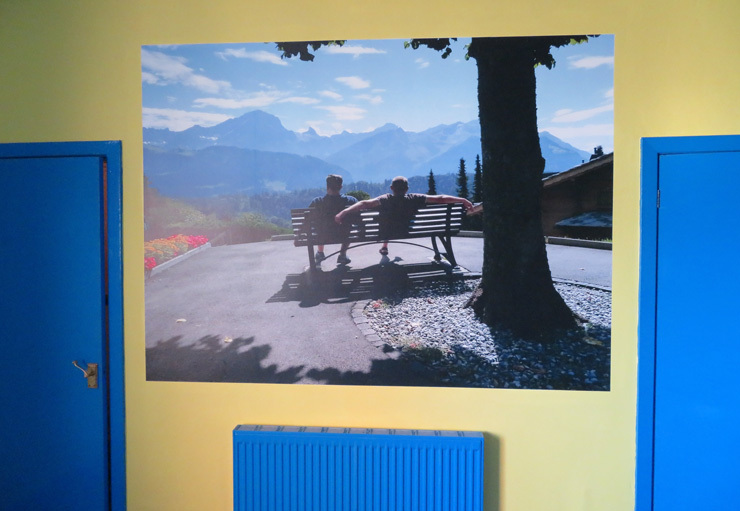 So if you’d like your custom wallpaper to be three metres wide, we suggest your photo is at least 3000px landscape. This can easily be achieved on a DSLR camera, but we advise you check your camera’s manual. However, if you have concerns over the quality of your image, don’t worry, we won’t print any image that we think won’t achieve a high-quality finish. All enquires concerning image quality can be made through our enquiry form. So whether you have fun memories by the beach or singing along to your favourite music at a festival, relive those memories every day by adorning your wall with your most loved photos. As for installing your custom wallpaper, it’s just the same as when you’d choose an image from our library. All custom murals are available on a choice of paste the wall wallpaper and peel and stick wallpaper that are supplied to you in even panels for simple installation. Head to our section on ‘how it works’ for more details. You don’t have to take our word for creating your very own high-quality custom wallpaper, here’s our customer, Andrew’s #WallsauceMakeover. In his own words, he described having his very own custom wallpaper as ‘feeling like he’s back in Switzerland’. For more tips and tricks head to our blog post on printing your own wallpaper with Wallsauce.com.